I make no apology for posting two chocolate recipes in a row, because chocolate never needs an apology. 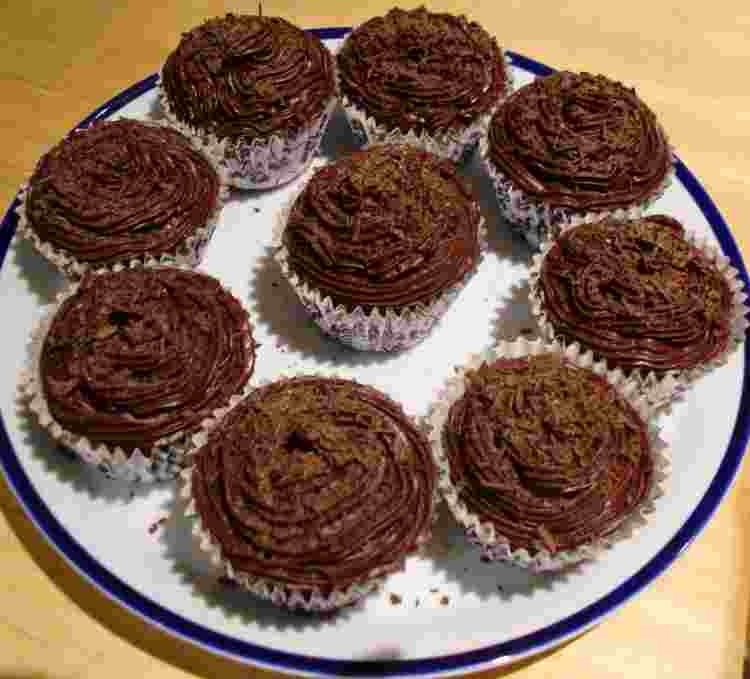 Today the wonderful writer, Gabriela Blandy, has provided a recipe, and all the photos, for us of these lovely moist chocolate cup cakes. 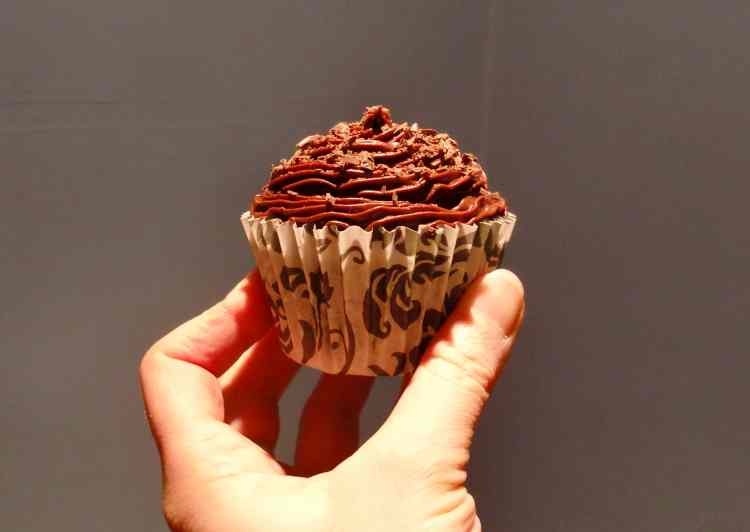 If you don’t already follow Gabriella’s blog, then do go and check it out, everything she writes is like a work of art, and if her cakes are anything like her writing then they will be fabulous. Click here to go to Gabriela’s blog. Put everything except the cream in a bowl and whisk until smooth. Then, using a metal spoon, fold in the cream. Spoon into 12 paper muffin cases. Bake in preheated over at 180 C, 350F, for 20 minutes. Leave to cool. Break the chocolate and melt in a bowl over a saucepan of boiling water. Remove from heat and add the sugar. Allow to cool for a few minutes and then stir in the cream. Give it a vigorous stir until it’s shiny and the texture has thickened a little. You can either spread over the cakes directly, or (as Gabriela did) wait for it to cool for about 15 minutes, and then put into a piping bag and go all fancy (that Gabriela is one fancy lady). Serve with shavings of chocolate on top. Once you have made the cakes, then invite your friends round for a party like Gabriela did, see below. If you make these cakes, then you too can have fun like this, and now you can see why I named them Booby Cakes (Sorry Gab, I couldn’t resist!). Thank you so much Gabriela, next time invite me to the party too, it looks like fun! You are correct. You can never post too many recipes involving chocolate. 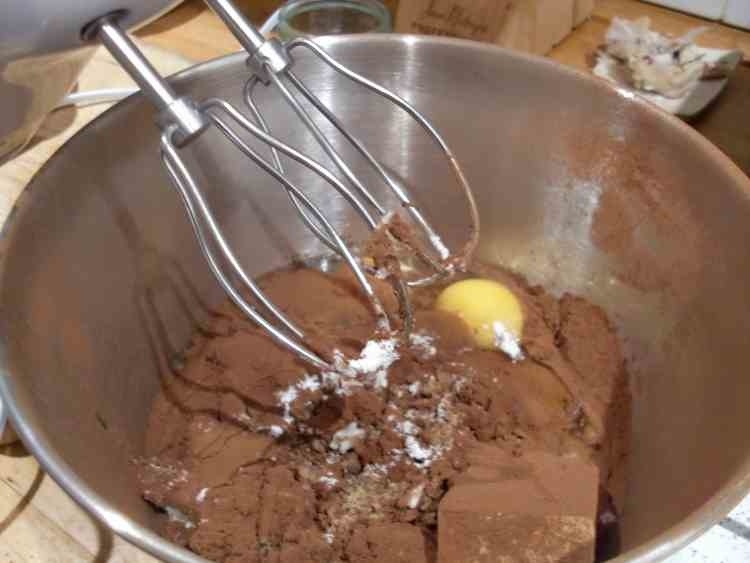 In fact, I just bought some cocoa powder this weekend to make the dessert you featured last week. Now I’ll have to add this one, too! Well at least you’ll have the cocoa powder in stock ready for this one too! Well I’m not sure that appearing on my blog constitutes become famous, but you’re welcome anyway! Thanks again for the recipe. I’m currently waiting for my bananas to ripen up so that I can do that one too! I agree with you and Carrie… no apologies needed for chocolate. I didn’t realize Gabriela had mastered baking, too. I’ll have to check out this recipe and add it to my list. I’m pretty sure Gabriela has mastered most things, so far we only know about writing and baking, but I’m sure there are many more things. 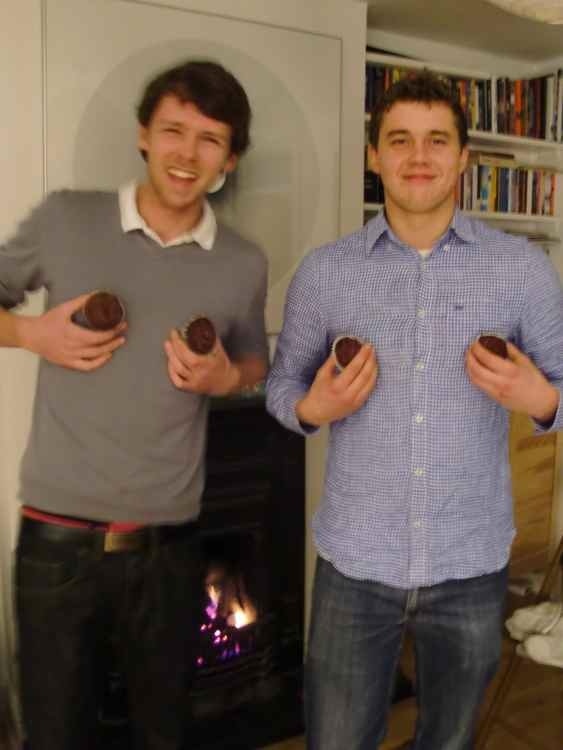 Oh yes, there’s also squatting a bit awkwardly while pointing at a cake, I forgot about that one. Well that’s a tricky one, I think you should select based on practicalities, the saucy one needs to be served warm right away after it’s made (although I like the leftovers cold too) whereas the cupcakes can obviously hang around for a couple of days. It’s always the right time for chocolate. 🙂 Love the name! They look delicious as do the rest of your recipes. You have a new follower!